CHEF ZEB STEVENSON of Atlanta's Watershed on Peachtree recently stopped by the Test Kitchen to whip up a batch of his famous Chicken & Dumplings and answer a few questions about his cooking style and origins. Zeb, originally from Northern Indiana, majored in art at Cornell. He has since developed into a well-known Atlanta chef with a zest for local, sustainably grown ingredients. 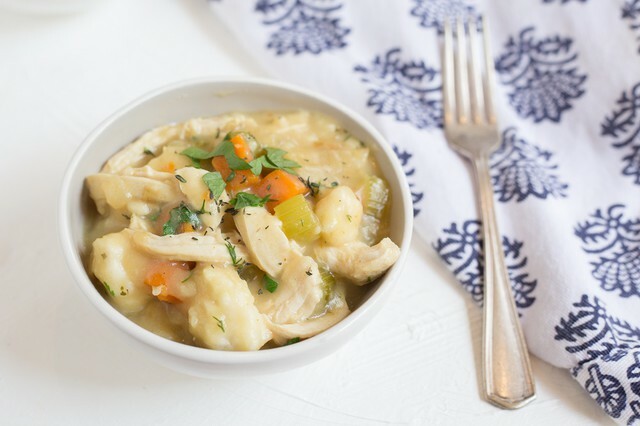 Zeb's Stevenson's Chicken & Dumplings - one of our new seasonal menus- will be available to order every week through February, 2016. What's special about this dish? What are your "chef tips" for this recipe? This is the type dish that really strikes a chord with people – it just resonates with people. There’s got to be some link that sits very deeply in our psyche. The lactic acid in the buttermilk tastes kind of country and homey. I actually didn’t eat Chicken & Dumplings growing up. I learned to make them from my grandmother. Also, growing up in North Indiana, I was surrounded by a large Amish population where dumplings were a staple. You want to drop the dumplings where the biggest boil is, and you want the starches to gelatinize really quickly. They're hearty but quite delicate. I don’t come from a very long line of good cooks. There was one family who went to my dad’s church who moved over from Germany. They were all wonderful cooks, and I can remember going to their house after church on Sundays – there was a real atmosphere of family around the table. One of the most challenging aspects of my job is having to provide recipes for home cooks, because we don’t have the same language. It has gotten a little less fussy as I’ve grown older. The more comfortable I get in my chef skin, the more I let ingredients just be really good. I keep things simple and just focus on a really harmonious plate. My biggest inspiration comes from what’s “walking in” the back door. The rule I made for myself is that whatever walks in the back door – provided it’s superior quality – goes on the plate. 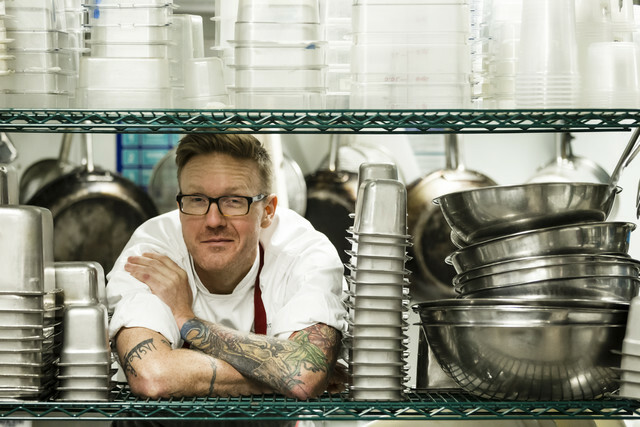 One of the chefs I admire most from anywhere is Ryan Smith [of Atlanta's Staplehouse] – he is one of the best cooks probably in this nation. He’s a far better cook than I am, and it pains me to say that! And my boss, Ross Jones, is an amazing cook – she makes the most true, tasty, North Carolina food. What charities do you love and support? Catch more of Zeb on Twitter and Instagram.